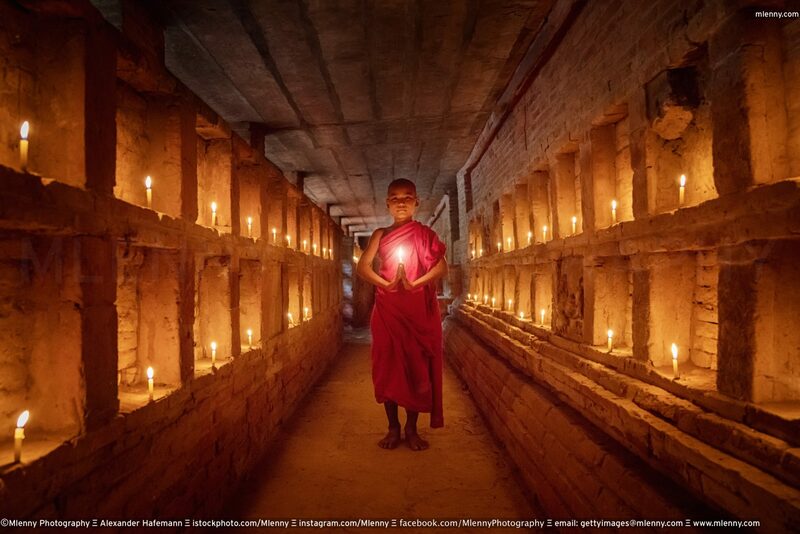 Young burmese buddhist novice monk standing in the middle of a candle lit tomb. Real People Portrait. Old Bagan, Myanmar, South East Asia.